Congratulations to winners of the Autumn Harvest Blog Hop for the boxed set HEARTS ABLAZE. Gregory Teresa: $50 Amazon gift card, Eva M: $25 Amazon gift card, Mary Brannian: $25 Amazon gift card. The winners of my raffle are posted on the Rafflecopter widget below. Come back on Tuesday, Nov. 22, when I’ll be participating in a brand new Thanksgiving Contest and Turkey Trot. More chances to win: $50 Amazon gift card grand prize, plus extra goodies from each of the authors participating. 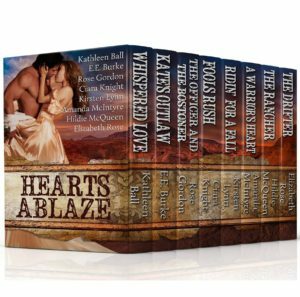 Kate’s Outlaw is part of the box set Hearts Ablaze. Jake Colson has a white father, but he considers himself Cherokee. My interest in writing a book with a Cherokee hero came about while doing genealogy research to track down my husband’s Native American ancestry. Do you have any interesting facts you can share about your family’s ancestral roots? Any surprises or funny stories? This looks like an awesome read. I hope you’ll check out our box set. At 99 cents it’s a steal…er, deal. Thanks for joining our hop and good luck! My great grandfather’s parents lived in Monticello, Kentucky in 1700-1800’s and would tell his children ( my grandpa) that his family hid Jesse James from the authorities. Their last name was Vaughn. We also have Cherokee ancestry on both sides of my family. Jesse must’ve really gotten around! Thanks for coming by and commenting Lori, and for joining our blog hop. Thanks for coming by Brittany! Good luck on the blog hop. I don’t know much about my family history at all. I don’t have connections with my biological father’s side of the family. I do know that my maternal grandmother’s parents came to the United States on a boat from Italy. Brooke, family history can be hard to track down. That’s neat about your ancestors coming over from Italy. I suspect they came through Ellis Island. If you’ve never been there, you should go. It’s very inspiring. Thanks for coming by and good luck on the blog hop! Debra, thank you for participating! Good luck! I enjoy reading historical romance, but you are a new author for me. Your book sounds great. Kathy, thanks for stopping by and for being part of our blog hop! I do hope you’ll try the box set and check out Kate’s Outlaw. Have a wonderful week. Nice to meet you! On my way to grab this great set! I have a very wide spread family history. But one of the weirdest facts I’ve found out is that the Blue people of Kentucky are my relatives. Congratulations on this new release and thanks for letting me celebrate with you. My family has always considered themselves as having a Heinz 57 heritage (a little bit of everything is included), but my husband is 1/8th Cherokee making my kids 1/16th Cherokee. Thats a good way to put it. Heinz 57. We have mostly Western European, with some Native American mixed in. I’m not sure the how to calculate it because there is Cherokee and possibly Seneca on two different sides. It’s fun figuring it out! Thanks for stopping by Katie. Good luck with the hop. I don’t really have anything awfully interesting. My grandparents were from Italy. I think that’s very interesting! You’re third generation Italian. When did they come to America? Do you know why? I’ll bet that’s a fascinating story. Thanks for participating in our blog hop, Sharon! Good luck. On my father’s side, I’m descended from the Powers who used to live in Ireland at Powerscourt a long time ago. It’s on my wishlist to see it in person! On my mother’s side I’m descended from one of the first French presidents, Adolphe Thiers. I know some of my Mom’s ancestors came to America very early, but I’m not sure when my Dad’s did. I’ve also got some Scots and German in there too. And one of my Mom’s relatives worked in Tiffany’s stained glass studio. I must be channeling her, because I work in glass too! Wow, those are very cool family facts, Cynthia. Thanks for sharing and for joining our blog hop. I have ancestors that lived in the town/village closest to Salem, MA during the Salem Witchcraft Trials. Thanks for the chance. Wow, that’s an interesting fact! Thanks for sharing and joining our blog hop. My mother’s parents came from Scotland and my father’s came from Norway, was lucky to meet a few of them when I visited Norway many years ago. How cool you were able to meet some of them. I have Scots and Irish ancestors, but from many, many years back. My aunt is the keeper of knowledge on my dad’s side and has repeatedly said that she doesn’t know much because no one spoke about it. I mostly know names and deaths of relatives. My mom’s side were mostly killed in the Holocaust so not a lot of knowledge there either. Kinda depressing…. That’s some story about your mother’s relatives. Depressing yes, yet hopeful in that you are here. We need to remember, and to be mindful that such a horror will never happen again. Thank you for coming by and for sharing. Congrats on the new release! Your genealogy research on Native American ancestry must have been fascinating. Thanks for the great giveaway. Yes, it’s been fascinating…and frustrating! We have lots of circumstantial evidence, but none of these ancestors turn up on any of the roles. I suspect it’s because they were married to whites, and back then, their heritage wasn’t something they rushed out to document. Thanks for coming by and commenting. Wow, Debra, thank you! When someone reads a book and buys more, that’s a huge compliment. 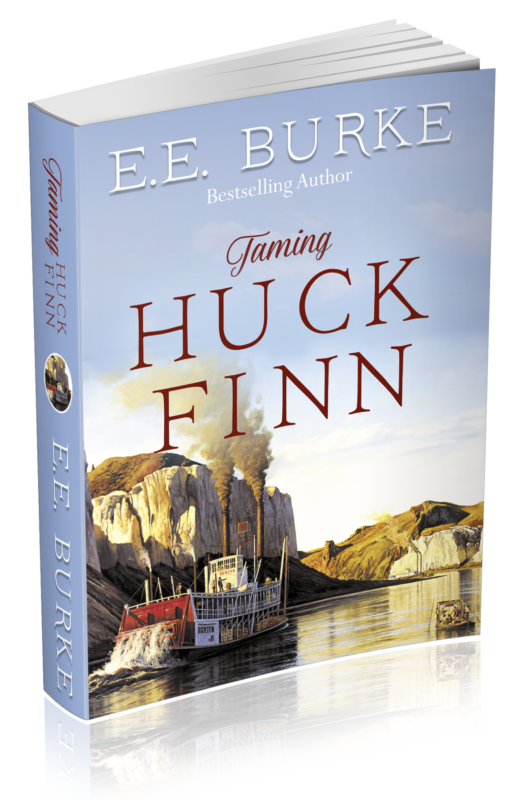 I’m working on the next book in this series now and how to have it out early 2017. Thanks for coming by and joining in our blog hop, and for letting me know you enjoyed Valentine’s Rose. Looks like a great book. I look forward to reading it. Thanks for coming by ShaMona. 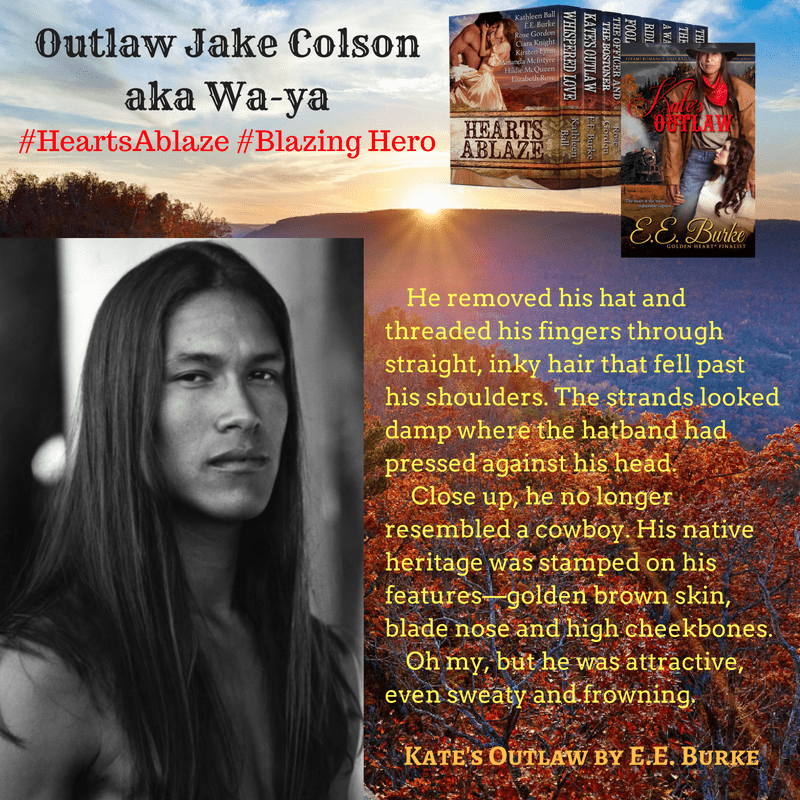 I hope you enjoy Kate’s Outlaw in Heart’s Ablaze. Good luck on the blog hop. Rick Mora is a handsome guy, that’s for sure. Thanks for coming by and good luck! Thanks for participating in the blog hop. What a great way to discover new authors! Thanks for coming by Samantha! I do hope you’ll read Kate’s Outlaw in Hearts Ablaze. Good luck on the hop!